John Paul Gumandoy sings his version of OPM classic “Anak” on The Voice Kids Philippines Season 3 premiere episode, Saturday, May 28, 2016. “You are amazing. You are original. Your delivery was something very special,” said Bamboo. “From the first verse of your song, I turned for you. Very beautiful performance,” said Leah Salonga. “You have a gift, that is your voice. I will coach you and we will find what’s suits your voice,” said Sharon Cuneta. John Paul Gumandoy picks Team Sharon. Watch his full performance on this video link. 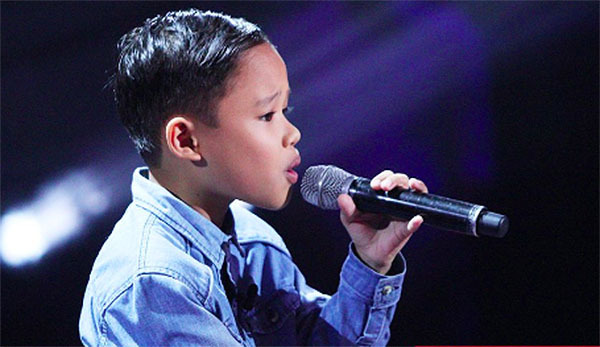 What can you say about John Paul’s blind auditions on The Voice Kids Philippines? Share your thoughts and views on the comment section below.